This Event has been read: 715 times. We are born at a given moment, in a given place and, like vintage years of wine, we have the qualities of the year and of the season of which we are born. Astrology does not lay claim to anything more. The vineyards are about 42 years old, everything is handpicked at Maison Guy Charlemagne. 87% is Chardonnay, the rest is Pinot Noir. Located in the village of Mesnil-sur-Oger, growers since 1892, they only harvest and vinify their own parcels. The main part of the vineyard is located on the Côte-des-Blancs, between Mesnil-sur-Oger and Oger. The top value of the domaine : By doing special cuvées like the Mesnillésime for which the wine as been raised in oak barrel, a zero dosage Brut and a Grand Cru Blanc de Blancs, this Maison is a reference ! Domaine Guy Amiot in Chassagne-Montrachet possesses a line up of crus that are enviable. Founder Arsène Amiot started acquiring parcels in Chassagne including several premier crus and a few rows of Le Montrachet. Under his direction, Domaine Amiot became one of the first to begin estate-bottling their production. Their work springs from a long tradition begun in the 1920s under the direction of founder Arsène Amiot. Arsène started acquiring parcels in Chassagne in the 1920s, including Vergers, Clos Saint Jean, Caillerets, and Dent de Chien (which would later become le Montrachet), and under his direction Domaine Amiot became one of the first domaines in Burgundy to bottle their own wines. Arsène’s son Pierre took over in the 30s, adding more parcels such as Maltroie, Champgains, “Les Chaumes,” Macherelles and Chaumées, and their parcel in Puligny-Montrachet, Les Demoiselles. By the time Guy Amiot (who the current domaine is named after), took over in 1985, the domaine had built up very impressive holdings and had passed the knowledge of how to best care for the vines down from generation to generation. There was a continuity of work in the vineyards that led to solid consistency in the wines. In 1993, Guy’s son Thierry Amiot took over and has been both respecting the tradition and striving for improvement ever since. Chambolle takes its name from the bubbling appearance of the Grône stream. 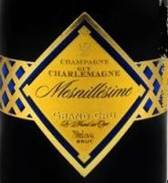 In 1878 the name of its best cru Musigny, was appended to the village name. This A.O.C. is for red wine only and covers a total area of 182 hectares. Sentiers (paths) simply indicates the presence of trails and paths. Three path intersections can be found on the perimeter of the climat. “Goulot” designates the narrow “neck” or prolongation of a combe or valley. The clay-limestone soil is very pebbly, with little vegetable matter. The vines are situated on the edge of the forest at an elevation of 380m, the highest in the village and very steeply sloped. It was planted in 1974 and annual production represents around 900 bottles. Yield is always quite low and it is not rare for grapes in the rows bordering on the woods to be eaten by the nearby wild game. In 2016, electrified fencing was installed to protect the crop. The quality and condition of grapes are always very satisfying. 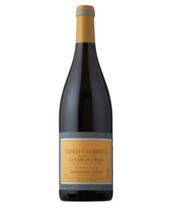 Character of the wine acidity is always present with well-integrated tannins and the wine is of subtle vivacity. 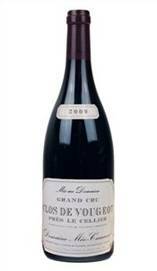 Sometimes it has gentle aromas of violet, mushroom or truffle but small red fruits dominate. The cellars are in the village of Gevrey-Chambertin. Vineyard holdings include the lieu-dit of Clos Prieur, only a stone's throw from Grand Cru Mazis-Chambertin, plus the excellent 1ers Crus of Lavaux-St-Jacques and Combe aux Moines. These are well-situated on the steep east-facing slope of the Combe de Lavaux, sitting either side of the famous Clos-Saint-Jacques. Each vineyard displays different variations on the basic theme of limestone and clay marls. Combe aux Moines is rocky and stony; Lavaux-St-Jacques has a similar white marl to that found in Le Chambertin; Griottes has a particularly thin topsoil, with chalk and pebbles. The fee for this tasting which includes dinner is $150 + tax for reservations call 954-523-9463 or –email andy@winewatch.com. Jeanne Marie is the Madame de Champs who created the exporting house, Domaine et Saveurs Collection, consisting of a slew of very fine estates, mostly but not exclusively in Burgundy. Through the years she has been a constant presence at tastings and stays off the radar as far as print. So, I thought it was time to change that a little. Jeanne Marie de Champs, grew up with her three brothers in the farmlands of the Loire, not far from the vines of Sancerre. She studied business in Paris. She knew wine was in her future and planned for it, tasting along with Stephen Spurrier. After marrying, as it happens a Burgundian négoce, she headed down to Burgundy where she started her exporting company, Domaines et Saveurs Collection in 1994. Being a woman never posed any difficulties for her. From my standpoint, she has height going for her, with about a foot or more over me. Height does make a difference in the way the world perceives you. She also believes that being brought up in a male environment--three brothers, many male cousins and male colleagues--she had to be a tom boy, learn how to fight and to play with men. “If some winemakers spent time with me because I was a woman, it might be so,” she wrote to me. She also added that she was not afraid to pull on boots and go into the vines during rain. Nothing like not being afraid of the mud to demonstrate one's seriousness. Still, she says there are international differences. “In France being a woman might be more challenging than America. China, and some countries which have not yet fully accepted women having an opinion and expressing it because of their know-how it's still an issue. But it will be changing soon. But," she added, "no matter where we are, women have to be better than good. She admits she might have benefitted from those who came befor her. “Not too long ago a woman in a wine cellar in Burgundy was a woman on a boat. It brought bad luck. But women like Martine Saunier and Becky Wasserman have opened the doors for that change.You have now a women wine maker association on each region of France (Anne Parent, was the starting point in Burgundy). You have father who gave their responsabilities to their daughters sometimes not because they had no son, but because they believe in them ;Veronique Drouhin, Claire Naudin, Nathalie Lamarche, Elodie Michelot, CL. Jobard, B. Dubois. “Sorry Alice,” she wrote to me, “I am sure I am conventional, (no Jeanne Marie, you are not!) but we have to find a equilibrium between our work which could be day (selling/ tasting) and night,( dinner, receptions… and family) and our children. 2 jobs? That’s nothing, multi-tasking is also our woman’s nature! 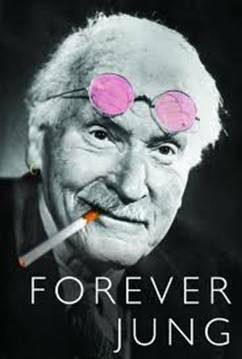 ** Guy Accad was a controversial consultant who worked in the late eighties and nineties and was quite the fashion at the time. As Jeanne Marie said, his system pushed ripeness, and long-cold soaks for extraction and color. "The system worked fine in warm and dry years like 1989 and 1990 but in years like 1991, it was a disaster." Méo-Camuzet is one of the most celebrated domaines of the Côte d’Or, located in the heart of prestigious Vosne-Romanée. The domaine boasts fourteen hectares of land in some of the most spectacular appellations and crus of Burgundy. The vineyard land in Burgundy is highly parceled out among families, which makes it rare for anyone to have enough vines to be able to bottle one grand cru, let alone the six that the Méos have. The early beginnings of the domaine left it in the hands of métayeurs, or share-croppers. The last twenty years have brought substantial changes that have fostered a new chapter for the Méo family. Founder Étienne Camuzet was not only a passionate vigneron, but a full-time politician, and spent most of his time in Paris, representing the Côte d’Or. In order to keep his land in use, he offered it to capable share-croppers to farm. By the time his daughter had inherited the estate, she found herself with no successors, so the estate was passed down to her closest relative, Jean Méo. Jean was also deeply involved in national politics—he served as a member of Charles DeGaulle’s cabinet. Consequently, he, too, had to direct the domaine from afar. In the early 1980s, as many of the métayeurs were starting to retire, it became clear that the domaine needed a new direction. Jean’s son, Jean-Nicolas had also spent most of his life in Paris. By 1985, it was his turn to take the helm. In lieu of continuing to rent out their highly-pedigreed vineyards, he made the bold decision to slowly start reclaiming the land for the domaine’s own bottlings. He called upon the resident expert, one of Burgundy’s greatest winemakers of all time, Henri Jayer, for guidance. Henri had spent over forty years farming parcels from Méo-Camuzet under his own label, while enjoying celebrity status in the Kermit Lynch Wine Merchant portfolio. For three years, he mentored Jean-Nicolas during the transition and finally decided to retire in 1988. Though Jayer passed away in 2006, his legacy endures to this day. Jean-Nicolas has since directed the cellar and sales. He has put the vineyards in the capable hands of Christian Faurois, son of one of domaine’s métayeurs, who has dedicated himself to these vineyards since 1973. 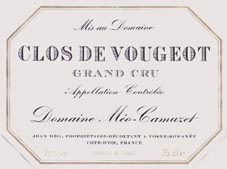 Domaine Méo-Camuzet bottles four astounding grands crus (Richebourg, Clos de Vougeot, Corton Clos Rognet, and Échezeaux, with two more Cortons on the way), ten premier crus (from the communes of Vosne-Romanée, Nuits-St-Georges, Chambolle-Musigny, and Fixin), several village wines, one Bourgogne Rouge, and only one white. Jean-Nicolas aims for balance and purity of fruit, which he accomplishes with terrific success. Though delicate and fine, even in their youth, the paradoxical concentration and intensity of these wines make them ideal for long cellar aging. These rare, stunning achievements are a Burgundy lover’s dream. The Parent family can trace their roots back to Etienne Parent, who in 1787 became Thomas Jefferson's wine advisor for Burgundy. The Parent family have been a permanent fixture in Pommard ever since, with the 6th generation, sisters Anne and Catherine now in charge, and their brother Francois working with his wife at their Domaine Anne Francoise Gros. 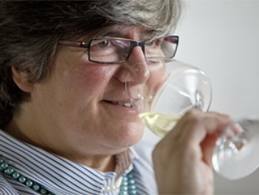 Since 1998, Anne has modified her approach to the wines. With 100% destemming, handpicking and three sorting tables, the story here is a little like that at Domaine Lamarche, where in recent years the quality has escalated. Anne views it thus: Pommard has two distinctive characters that can be grouped into the North and the South. The Pommards from the north of the appellation being like a man that plays Golf and drives an Aston Martin, those made from grapes grown in the south being like one that likes rugby and drives a Porsche. A Grand Champagne with character from the Côte des Blancs terroir, specifically from Le Mesnil sur Oger (limestone parcels averaging 60 years of age). This champagne produced from first press of Le Mesnil sur Oger Grand Cru juices, highlights the exact characteristic of our village. 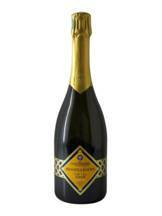 Jewel of the Charlemagne house, this vintage wine combines both authenticity and the search for perfect quality. Elegantly presented with exceptional labelling, this Mesnillésime cuvée is produced with rigorous vinification, partially in oak barrels without malolactic fermentation, and a very light dosage of 4 grams per liter. Matured for 6 years in our chalk underground cellars, this cuvée highlights the excellence of our production. Chardonnay, the only grape here, shows what balance, harmony and purity can mean. A rare champagne for unforgettable moments.